Please see below horses available for adoption. These horses have been rescued by volunteer Foster Carers and are still in need of a permanent new home. Please note that descriptions of breed, age and size are given in good faith and are based on assessment of the animals features. The age and breed of a horse may be determined by tracing its brands, however, this is beyond the scope of the organisation. Horses are rescued from pounds, sales yards or knackeries in Sydney, Australia. 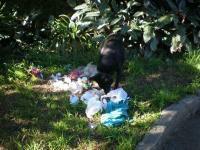 Many are victims of the drought, neglect or simply no longer wanted by their owners. 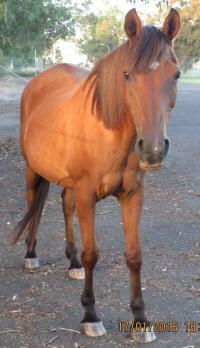 Foster carers in the Sydney area are needed so that more horses can be rescued. 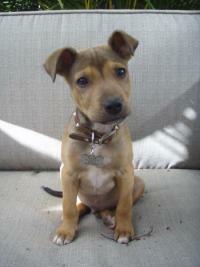 Foster Carers in Sydney Needed! DCH Horses urgently needs foster carers located in Greater Sydney. Fostering involves taking the horse/s to your home and caring for it as if it was your own, until a permanent home can be found. 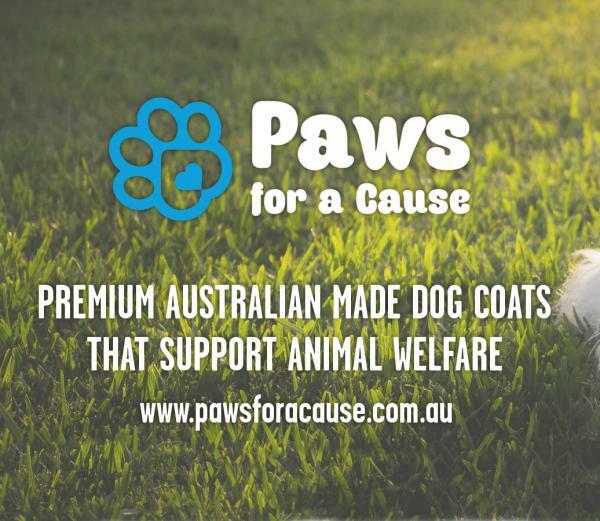 Please phone 1300-88-93-40 for full details. Alternatively use our contact form. Clover is a sweet older girl who has served her past owners well and is in need of a good retirement home. She's quiet and is able to be brushed, have the farrier out, be lead and handled easily. Not a lot is known about her past, however she's had a good education at some point as she lunges beautifully, and we've been told she was a clever all-rounder / western pony who excelled at sporting in her younger years. She had been badly neglected before coming to us, so we have not test ridden her as we've been focusing on getting her back to good health and a better weight. If you're interested in giving Clover a good home where she can be assured of a secure & happy future, please contact us for more information about her. * Last photo taken in mid September 2015. Josie is a lovely young mare, with a quiet nature and an extreme love of food – she needs an experienced owner to keep her roaring appetite in check as she is a very, very good doer! She has only recently begun her riding career so will need someone to take her further. She has the making of a great all-rounder with the build to make someone a really athletic mount after some further training. Josie is great to catch, rug, worm, shoe, trim and get her teeth done. She does need some further reassurance that the horse float is not a scary monster that will eat her. Her current foster parent has only had her for a few weeks but she has shown herself to be a good, solid girl with the potential to be a great riding partner to someone with the experience to further her lessons. 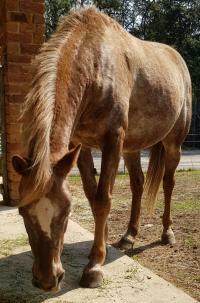 Tiny is a red roan, approx 13.3 hh. She has been through a lot: starvation, abuse and neglect. Happily, she has blossomed in DCH's care, and will continue to gain trust in people in the right home. Tiny has loads of personality! She is very smart and will learn quickly from a patient, kind and understanding handler. 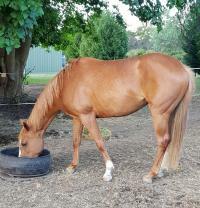 She can be a bit feisty in the paddock and is dominant with other horses and around food. Tiny is very inquisitive, and is now good to catch, groom and worm. Hoof trimming is still a bit difficult. 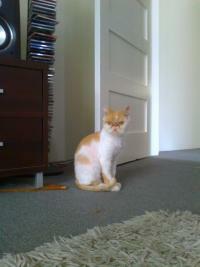 Tiny suffers from QLD itch and would benefit from living in an itch free area (not coastal). Tiny has been in care for over a year. She requires an experienced home to further her education. Do you want to be notified of newly listed animals? Sign up for our weekly email.